Make any cigar enthusiast feel special with a personalized humidor to store his prized collection. 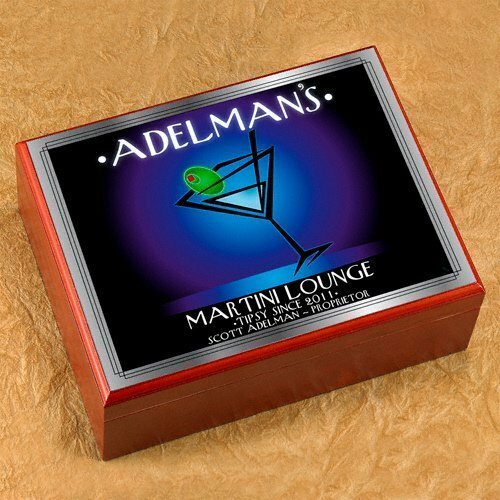 This After Hours Martini Humidor features a Martini Lounge motif in a blue and black color scheme with a silver and light purple border. 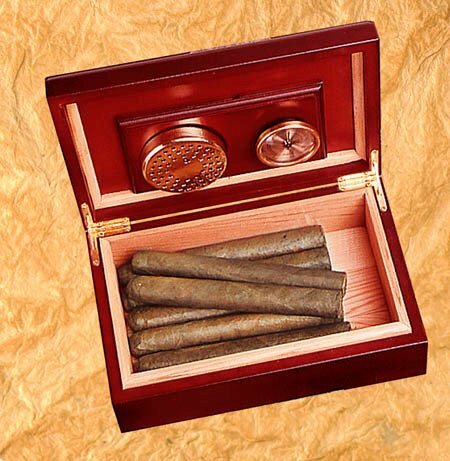 Humidor measures 9 1/2" by 3 5/8" by 7" and is personalized last name and year established.